We have two models of bariatric chairs. Keynamics special needs seating provides a very sturdy solution for the large individual. 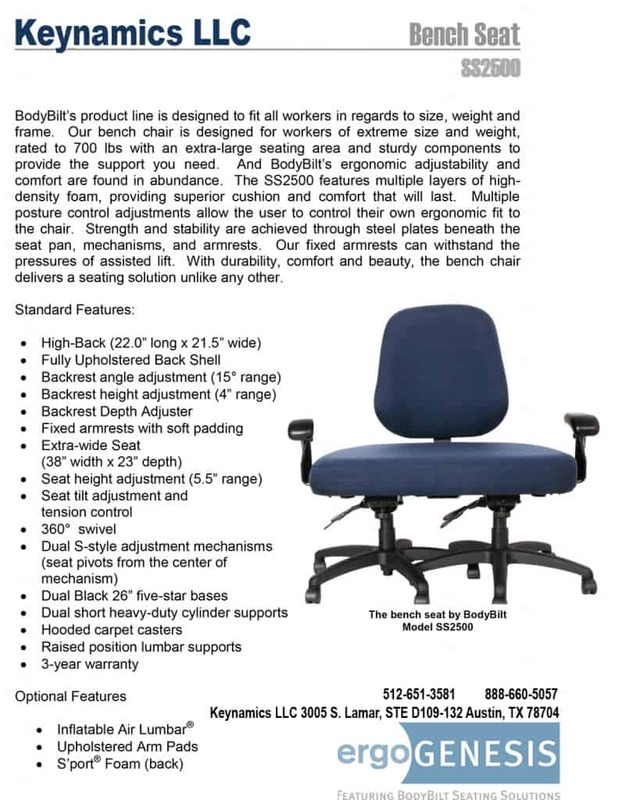 Our Bariatric chairs offer the perfect answer for office chairs or as use as guest seating. Our chairs, with their sturdy reinforced construction are designed to accommodate individuals up to 700 lbs. Listed below the highlights on the two models, with pricing. Our chairs are custom built to order and usually take about 10 business days to build. Upholstery recommendation: Staccato high double rub tested – plus breathable / wipeable fabric. It’s also the lowest cost upholstery option – we usually put these on our 24/7 chairs.